It was a wonderful jewellery week in Las Vegas at JCK and Couture shows. I visited my terrific suppliers and made friends with some new ones. I had a great time with Jaclyn and Anzie Stein from Montreal at the ANZIE booth at Couture. Look out for some great new designs from ANZIE coming soon to the Kelowna studio. 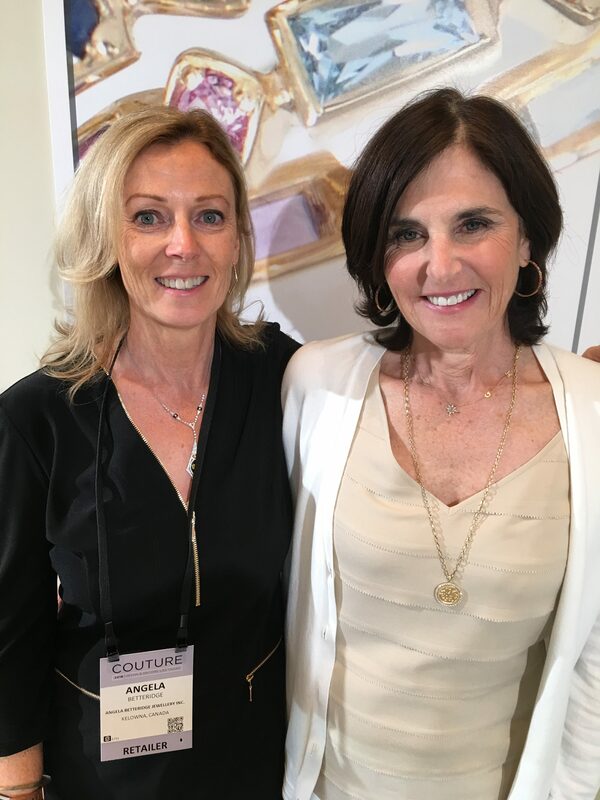 It’s always a fun time exploring the new products coming to the market, discovering the new “it” products and hearing what stories are shaping the jewellery industry. The main buzz was around De Beers, the founders of the modern natural diamond industry as we know it, they are introducing laboratory-grown diamond jewellery under the Lightbox name this September, offering consumers high-quality, fashion jewellery designs at lower prices than existing lab-grown diamond offerings. A little disruption in the business is always good for consumers and in this story it’s the consumer who wins. Beautiful white, pink and blue diamonds that you wouldn’t be scared to lose as the price point makes them easy to replace.